How do you feel about the move to a 4:3 aspect ratio? The Nexus 9 broke the traditional mold for Android tablets and introduced an aspect ratio of 4:3. The Apple iPad has never done anything other than 4:3, so it’s not entirely surprising that the trend is for Android to do the same. If you talk to most tech folks, the responses are very similar. When it comes to tablets, the 16:9, which has been a staple for Android tablets, is ideal for viewing movies. For pretty much every other use however, the 4:3 aspect ratio is superior. What took Android tablet makers so long? Hard to say. 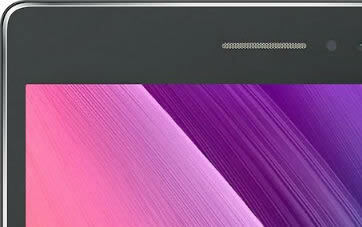 I do believe that there will be no turning back for Asus and other Android tablet manufacturers. Apps will be optimized for the 4:3 aspect ratio and that should be the way moving forward. So how do you feel about it? Is it a selling point that the ZenPads will be using 4:3 aspect ratios? If you’re not sure what to think, just realize that when it comes to an ideal way to hold your ZenPad, portrait or landscape, it won’t matter nearly as much as it did when Asus tablets sported 16:9 aspect ratios. Movies may be your only real gripe, but even then, a black bar on top and bottom is not exactly intrusive. I welcome to the change to be honest. I don’t do a lot of movie watching but for websites, reading, etc, it’s going to be better. I think most people won’t really know the differences. I’m netural. No idea if this is going to be better or not. I can say that I’ll post back after picking up a new one of these tabs.